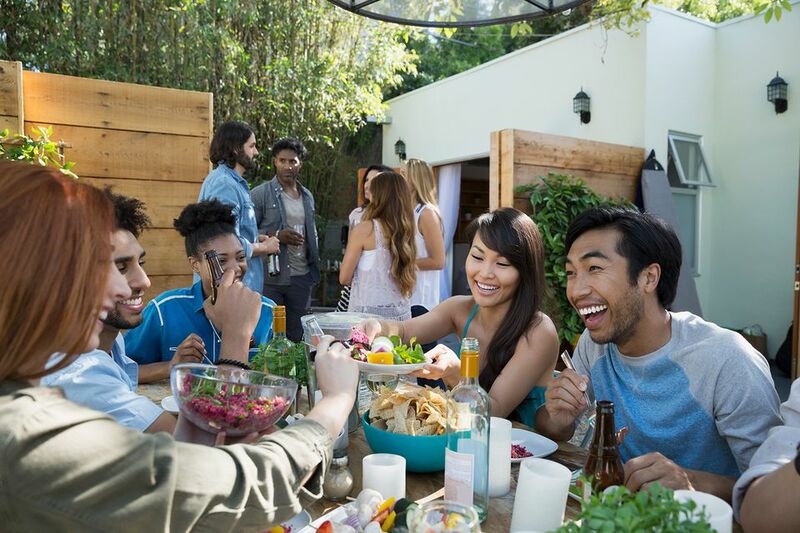 From crispy green lettuce to fresh fruit and creamy potato salad, Spaniards enjoy a wide variety of salads in the summertime. The best and tastiest salads for hot weather include a mix of salads, ranging from quick and easy to more complicated. All are super tasty and impart the flavors of Spain into your meal, wherever you are. ¡Buen Provecho! Eggplants are very common in Mediterranean cooking, particularly in Spain. This eggplant dish is great to serve as a tapa or a side dish, especially in summer. 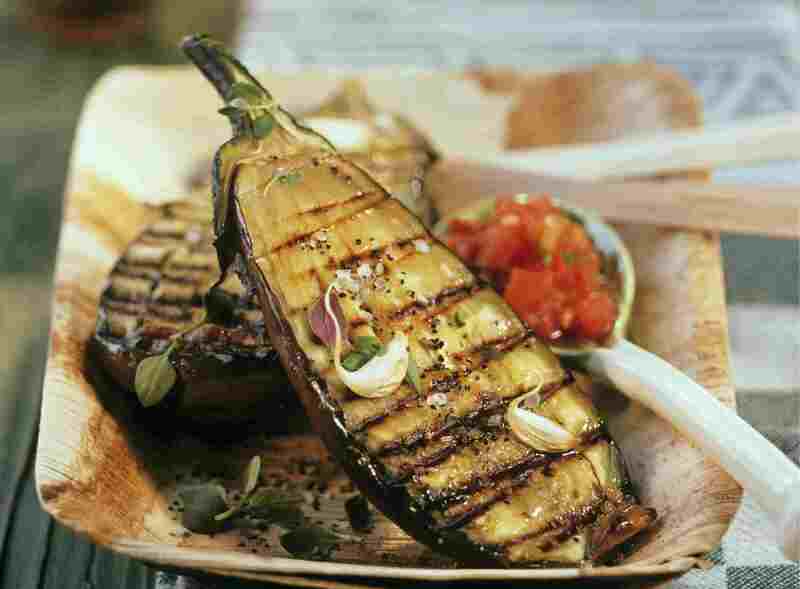 The salad is easy to make-ahead and using the grill to cook the eggplants will keep your kitchen cool. The grilled eggplants are combined with tomato, basil, garlic, olive oil, and vinegar for a tasty, yet simple salad. Ensalada Tropical originates from the south of Spain, in the provinces of Granada and Malaga. The Costa Tropical in Granada is a coastal valley and microclimate in Spain where wonderful tropical fruits and vegetables grow year-round. The mixture of fruit, cheese, and fish is very unusual. The best ingredients from the region create a delicious and tantalizing salad. Quick, easy, and tasty, this Salpicon de Marisco, or Seafood Salad, is a perfect summer dish. Serve it as a light main course, a side dish, or a tapa. The combination of octopus, shrimp, and crab is tasty and unique. The name for potato salad in Spain is ensaladilla rusa or Russian salad. It is said that this salad was invented by a Russian, but the actual origins are unknown. This dish is quite popular throughout Spain and it is common to prepare it with homemade mayonnaise. Wherever the name originated, it is a great summer salad, packed with protein and veggies! Spanish style Cucumber Salad is a perfect dish for a warm day. It is light, tasty, and refreshing. If you need to prepare something at the last minute, this salad is great, since it is so easy to prepare. It produces a lot of tasty juices, so you may want some fresh bread on hand to soak up the dressing. Lisa Sierra (c) 2010 Licensed to About.com Inc. In Spain, a green salad is almost always on the table at mealtime. Ensalada mixta, or a colorful, mixed green salad, is often served on a large platter for the entire table to share. It usually includes a mix of ingredients that Americans may find surprising such as olives, tuna, white asparagus, tomatoes, and onions. Easy to prepare, it is as tasty as it is attractive. This salad is perfect for dining on the patio or terrace this summer and a great partner to a piece of grilled meat or seafood.